Regular wellness exams helps us to ensure that your pet stays healthy by identifying problems early and correcting them fast. During the wellness exam, your dog will receive a full physical examination and visual dental exam. 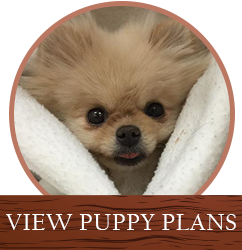 We form an individualized wellness care plan for your dog that caters to your dog’s individual needs. Your dog will also receive an annual heartworm blood test, heartworm preventive, and flea and tick preventative. On the day of your pet’s appointment, we ask that you bring your dog on a leash and come with a recent stool sample, ideally less than 12 hours old. Your dog's wellness exam is also an excellent time for you to address any questions or concerns you may have about your pet’s health. So many of us haven’t always understood why we need to vaccinate our pets (or children) we are just doing what is recommended by the doctor in an attempt to keep our loved one safe. As a veterinarian, I believe that it is important that owners understand why we vaccinate so that they have informed consent and know what they are protecting their pet with and against. By giving a vaccine we are attempting to stimulate the dog’s immune system to create memory cells that will be saved in the body to fight the virus if they encounter it in the future. On the initial exposure to a virus (antigen) the immune system will create a few short lived memory cells but will not create lasting immunity. Therefore, we always provide one booster in 2-3 weeks to give a second boost to the immune system and create millions of long lived memory cells in the body. These cells are constantly circulating in the body looking for foreign invaders to attack and destroy thereby defending the body and providing the pet immunity to the virus. We believe in tailoring the vaccines your dog receives to your dog’s particular health needs. Core vaccines are defined by the American Animal Hospital Association and the American Association of Feline Practitioners. Regular preventive dental care keeps your dog’s teeth and gums healthy. Abscessed teeth, excessive tooth wear, severe gingivitis, and fractured teeth are all very common in pets. Extractions are often the end result of years of tooth neglect and are often needed to relieve pain and infection. To avoid dental problems later in life, we will examine your dog’s teeth and gums for tartar, plaque, tooth decay, infections, and tooth weakness during their annual exam. In addition, we also provide deep cleaning services at our hospital. In addition to the services provided at the hospital, we strongly recommend at-home dental care, and we can also discuss how to properly care for your dog’s teeth and gums at home. Dogs have different nutritional needs during different stages of their life. Many commercial diets are fortified with additional nutrients and supplements to encourage health. In some cases, a prescription diet will be required depending on any health issues your dog may be having. During every exam we will make sure your dog has not gained a significant amount of weight as this may indicate a possible health issue. We will review your dog’s current eating habits to ensure they have a healthy, balanced diet to maintain the best health for your pet. 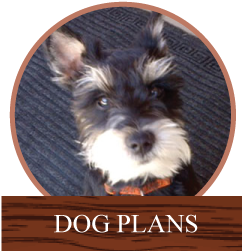 We will also discuss play and exercise to make sure your dog is getting enough physical activity. External parasites include fleas, ticks and mites. Internal parasites include roundworms, hookworms, heartworms, whipworms, lung worms, bladder worms, stomach worms, tapeworms.